Kelly is a Los Angeles-based writer, actress, host, and comedian who originally hails from the subjectively wonderful state of New Jersey. 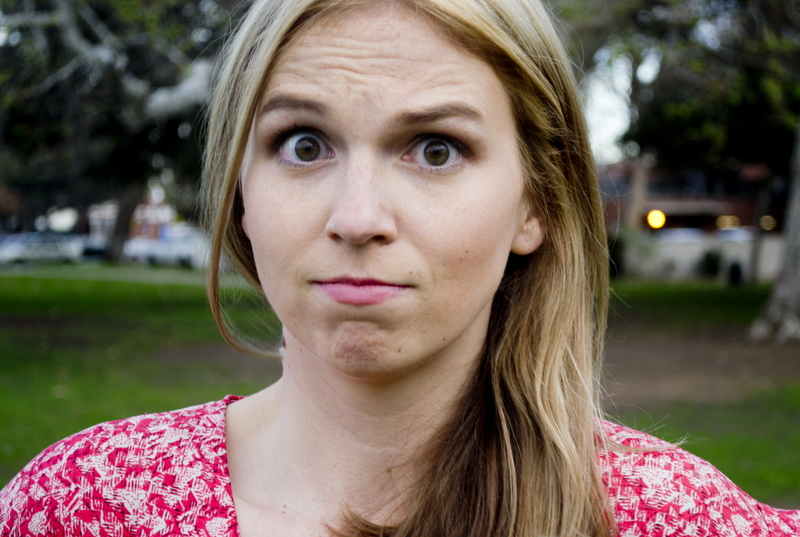 Her sketches have been featured on WhoHaha, Comedy Cake, and Funny or Die. In addition to online sketches, she regularly performs stand up all over the LA area as well as touring the throughout the country, crushing clubs like The Punchline, the Improv, and Comedy Works. She’s even toured throughout Mexico including Baja and Mexico City. She’s also been a guest on the wildly popular podcast Doug Loves Movies and sorta sibling video-cast Getting Doug with High. Kelly brings a dark self deprecating, brutally honest humor that anyone in the world can relate to and laugh at least a little bit. The latest project Kelly has ventured into is podcasting. Kelly has co-created and currently hosts the podcast IMDweed with Jessica Androsky in March 2017. The podcast features a different comedy industry guests each episode to smoke weed, watch a movie and review it after with Jessica and Kelly. Several guests have been on Conan, Late Night w/Jimmy Fallon, and Comedy Central. Episodes drop every other Tuesday and can be listened to on ACast and iTunes. Kelly began her journey into comedy when she graduated the improv program at Upright Citizens Brigade. From then on, she joined and performed on various indie improv teams throughout Los Angeles. She graduated from Marymount Manhattan College with a Bachelor of Arts in Communications and minor in Theatre. She is also a host on camera too in shows on AfterBuzz TV, the world’s largest online broadcast network created by Maria Menounos. Celebrity guests include Noel Fisher from “Shameless” and Jonathan Kite from “2 Broke Girls.” Her interviewing skills don’t stop there, as she also covers festivals such as SXSW and AFI for Cinelinx. Cinelinx is an entertainment website, where she is a red carpet correspondent and contributing writer. She has interviewed various filmmakers and actors for articles and red carpet interviews including Timothée Chalamet, Josh Brolin, and the Dame herself, Helen Mirren.